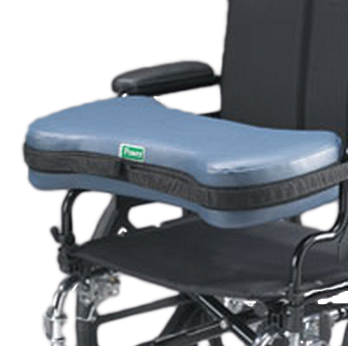 E-Z Release Hugger by Posey is a vinyl-covered foam cushion wheelchair accessory for wheelchairs or similar non-wheelchair applications. 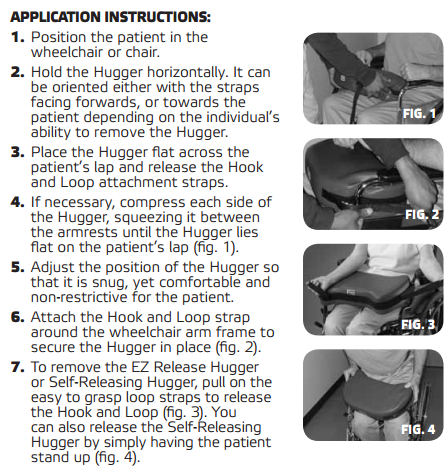 E-Z Release huggers are ideal for those needing torso support or an elevated resting spot for hands. The release hugger helps to assist in upper body alignment. It is for patients who have poor upper torso alignment and offers a firm surface on which to rest the elbows. 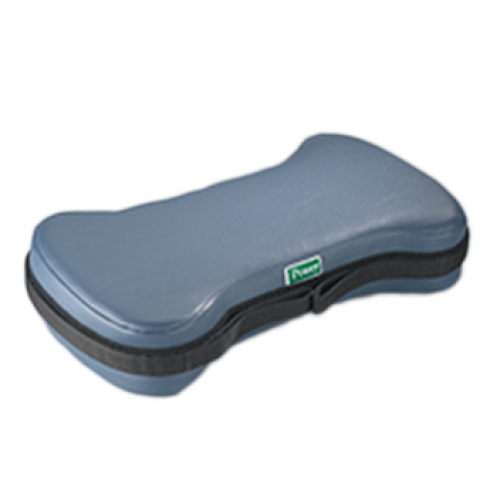 This release hugger is constructed from medium density foam and is simplified for patients with a limited range of arm movement. It is also ideal for patients who require anterior posture support, and patients who require a work area or eating area on their wheelchair. There are extra long straps on the release hugger for extra versatility and hand loops sewn into the ends of the straps. The vinyl cover on the hugger can be easily wiped clean. Posey E-Z Release Hugger fits 18"-22" (46 x 56 cm) standard full or desk arm wheelchair. It is available in a variety of different sizes, shapes and designs to accommodate varied needs of different individuals and situational needs.